*Voltaj: AC 100~240V*Curent: Max 10A*Putere maxima: 1250 / 1800 watts*Priza USB 5V 1A* Material: PC *Wireless: 2.412~2.484GHz*Wireless IEEE standard: 802.11b/g/n*Security: WPA-PSK/ WPA2-PSK /WPA/WPA2/WEP/WPS2/WAPI*Encryption type: WEP/TKIP/AES* Protectie suprasarcina*Consum Wireless: ≤0.3W*Temperatura de functionare: -20~45 C*Umiditate maxima acceptata in timpul functionarii: ≤80%..
1: Putere emisie de pana la 8W ce ofera o raza de comunicare mult mai mare2: O noua carcasa cu insertii metalice.3: Display iin doua culori pe baza de LED cu o claritate marita.4: Manual de utilizare in limba Engleza, Germana si Franceza.Canale PMR setate conform grilei de mai josCanal PMRFrecventaCoduri CTCSS1446.00625no code2446.01875no code3446.03125no code4446.04375no code5446.05625no code6446.06875no code7446.08125no code8446.09375no code9446.0062567.010446.0187569.311446.0312571.912446.0437574.413446.0562577.0014446.0687579.715446.0812582.516446.0937585.4 Dual-band / Dual-Display / Dual-StandbyA/B band independent operation128 groups channels storageShortcut menu operation modeVFO & Memory channels scanEmergency AlarmTri-color background light selectable0~9 grades VOX selectablePTT & ANI IDFM radio and 25 stations storageVoice compounding50 CTCSS/104 DCSUpgrade 400-520 MHzPC programmableWide/Narrow Band(25kHz/12.5kHz)Transmitter time-out timer(TOT)High/Low TX power selectableBusy channel lock-out(BCLO)..
UHF 400-470 FM Portable Two Way Radio TS-K68 GeneralFrequency RangeUHF 400-470MHzChannel Capacity16Channel Spacing25KHzOperated VoltageDC 3.7 VBattery<1500MAh Li-ionBattery Life(5-5-90 duty cycle) About 8 hoursFrequency Stability±2.5ppmOperated Temperature-30°c-+60°cAntenna Impedance50ΩDimensions (L×W×H)(with battery,without antenna)115×60×33 mm (without antenna)Weight (with battery/antenna)180gCommunication Rangeabout 2-5kmReceiverSensitivity (12dB SINAD)≤0.20 uVSelectivity55dB/50dBIntermodulation≥65dBAdjacent Channel Selectivity≥60dBSpurious Response≥60dBFM Noise45dB/40dBAudio Power Output1000mWAudio Distortion≤5%Standby Current15mATransmitterRF Power Output<3WModulationF3ESpurious Emission≤65dBFM Noise≤-45dB(W) ≤-40dB (N)Audio Distortion≤5%Transmitting Current≤1.3A..
*Voltaj: AC85-265V, 50/60 Hz*Putere: 10W (RGBW); 10W (WW)*Lumeni +/-10% : 1000lm*Color Temperature: 2700-6500K(light)+RGB*Material: PoliCarbonat + Aluminu*Culoare: White*Standard: E27*Lifetime: 25000 hrs*Suporta 16,000,000 culori ajustabile prin aplicatie Andoroid sau iOS*Frecventa WiFi: 2.412~2.484GHz*Wireless IEEE standard: 802.11b/g/n*Security : WPA-PSK/ WPA2-PSK /WPA/WPA2/WEP/WPS2/WAPI*Encryption type : WEP/TKIP/AES*Consum Wireless: ≤0.3W*Temperatura de functionare: -5~45degree*Beam Angle: 270°*Working Humidity: ≤80%..
Want to keep in touch with roaming children when they scamper off in the supermarket or shopping center? Want to stay connected to your friend during an outdoor activity or expedition into the wilderness? Great Gift for Kids: Give it as a kids Gift for your loved ones, you will be amazed how happy and appreciative they will be.With a generous 2km range (open field), just enjoy freely running around in the neighborhood or in the woods while still communicating with each other when you hold this Radioddity R8, because your buddy is just a radio walkie talkie call away. Safety Tool for Parents: Radioddity R8 two-way radio can offer you the peace of mind you need when it comes to watching over your kid from a distance.Whether you need it to keep an eye out on them at the park, or you want your kids to be able to communicate from their room, our walkie talkie’s got you covered at the push of a button!Hot Spot:✔ SMALL AND EXQUISITE: Fashion and lovely; Easy to use, the best gift for children. Small size makes it convenient to carry around even for smaller hands. Intended for ages 4 and up✔ GENEROUS RANGE: Set of 2 included. Up to 3km (MAX 4 miles open field).✔ GREAT SOUND QUALITY: Clear and loud. Durable and environmental-friendly material, safe and suit for kids, clear and smooth sound quality with adjustable volume level, auto squelch function will mute the background noise so you get the clear sound even in crowded places.✔ LCD DISPLAY: LCD backlit display, battery status indicator; Clip on belt holder; Modern compact design.✔ BATTERY: Ages 6 & up, requires 3 AAA batteries per unit (not included). Super long play time; 3.5 hours continuous, 9 hours standby.✔ USB: USB charging allow you not worry about the power and you just using the compatible phone USB wire. (Note: Please use rechargeable batteries if need this function. 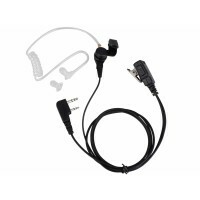 )✔ VOX: it allow your hands free to communicate with your friends with a simple push to talk operation. Double click to activate a beep single. Broadcast to one or multiple units, available to use different channels. 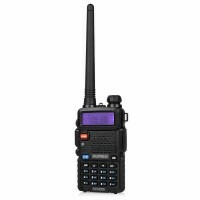 Key FeaturesFrequency: UHF 462.5625-467.7250MHzTransmission power: 0.5WChannel capacity: 8 Channel (GMRS/FRS)CTCSS/DCS: 38 group CTCSS/83 group DCSTime-out timer (TOT) functionLCD displayBattery status indicatorAdjustable volume levelTransmitting and receiving iconsChannel number displayMonitor functionAuto squelchDual channel monitorChannel scanKey toneSupport USB charging cableBattery type: 3 x „AAA” batteries (Not Included) Channel and Frequency (MHz)-Europe(8ch) Ch. Frequency Ch. Frequency Ch. Frequency1 446.006252 446.018753 446.03125 4 446.043755 446.056256 446.06875 7 446.081258 446.09375..
1: Putere emisie de pana la 8W ce ofera o raza de comunicare mult mai mare2: O noua carcasa cu inser..
*Voltaj: AC85-265V, 50/60 Hz*Putere: 10W (RGBW); 10W (WW)*Lumeni +/-10%..
Want to keep in touch with roaming children when they scamper off in the supermarket or shoppin..
*Voltaj: AC 100~240V*Curent: Max 10A*Putere maxima: 1250 / 1800 watts*Priza USB 5V 1A* Material: PC&..
UHF 400-470 FM Portable Two Way Radio TS-K68 GeneralFrequency RangeUHF 400-470MHzChannel Capaci..
Do you want to rent? Do you need some additional equipments for a short period of time?